Our first street stall in Muswell Hill. 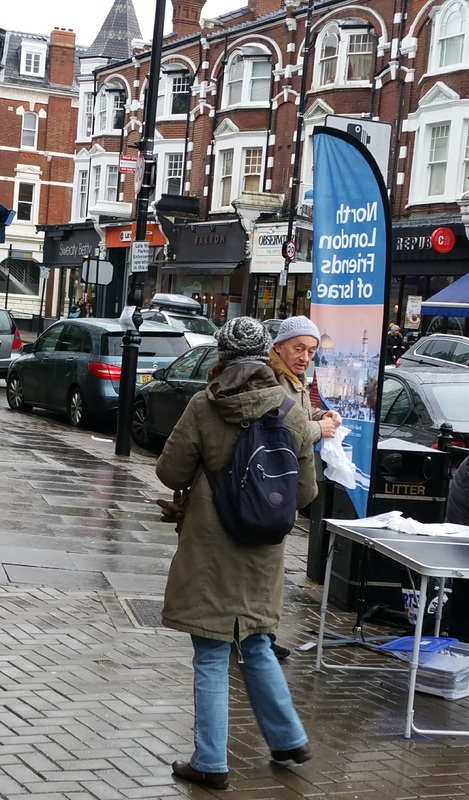 The weather was pretty unkind, nevertheless we established our presence, gave out about 250 leaflets and had some positive reactions. 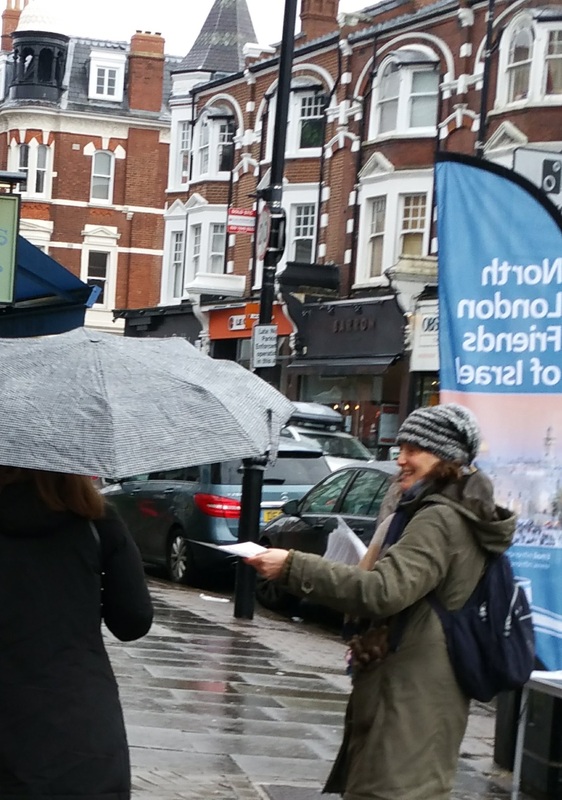 A big thank you to all who braved the cold and wet to advocate for Israel.